“Where do you find your coaches?” It’s a question I get most often from parents. It seems like the answer to that question should be, “through a rigorous nationwide search.” But the real answer is usually: they find us! We strive to create and live an environment of integrity, respect, teamwork, inclusion, humility, and above all: fun. This camp culture attracts the people who have the same values. 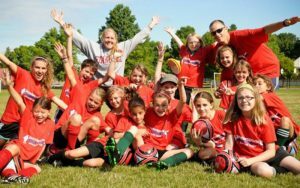 Many of our coaches were once campers, so they know the drill, and want to come back and make the experience just as fun for the campers as it was for them. It’s quotes like these that inspire us to to keep it up. Most experiences are better when you have someone to do them with, and sports is no different. 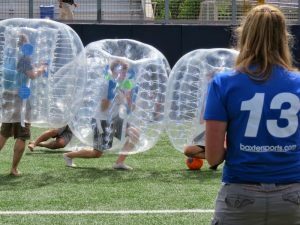 We emphasize the importance of team concepts like teamwork, communication, problem-solving, and having fun together. At our camps, some kids come with their friends, but everyone leaves with a new friend or two! 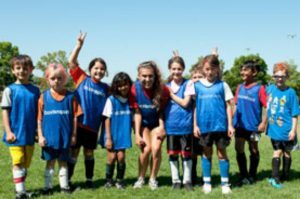 Community is valuable learning tool, and we strive to promote it on and off the field as much as possible. It’s common for coaches and campers to see each other at Timbers games, the grocery store, or just walking down Hawthorne. Don’t be surprised if they say hello! 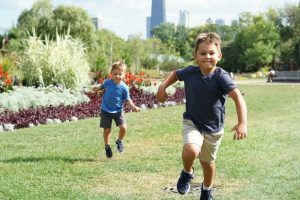 As from the quote above, kids love us because they are playing all day long, and parents love us because they can rest easy knowing their kids are staying active, learning and growing. 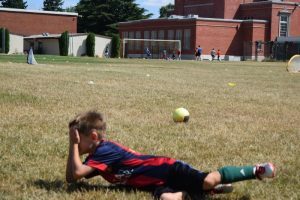 If you’re walking nearby Clinton Park, Rose City Park, or Fernhill Park on a summer day, don’t be surprised if you’re overwhelmed with the sounds of laughter, cheer, and excitement from one of BaxterSports camps. Our staff do a great job of creating fun skill-building drills that keep the kids engaged and active. If you’re not involved, you’re missing out! If we hear a comment like this, we know we are doing our job! 4) Kids walk away feeling like they have learned and improved. At BaxterSports, we really want our campers to learn and improve their athletic performance. Although other camps may hold this reputation, we are not a camp who merely babysits and warehouses kids. 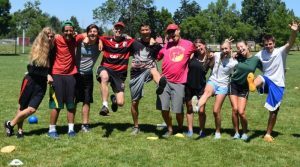 Rather, we use our time and skills to connect with the campers and teach fundamentals of their sport, as well as other elements they may not get normally, like sport psychology and nutrition, all while having fun! There’s a reason why our best marketing tool (by far!) is word of mouth. Why? Because when people do something they enjoy, they want to share it! Whether it’s our emphasis on new daily skills, diversity of staff, mixture of individual and group games, or our daily camp themes (don’t miss out on crazy hair day or our weekly talent show), it’s rare to find a camper without a smile on their face. 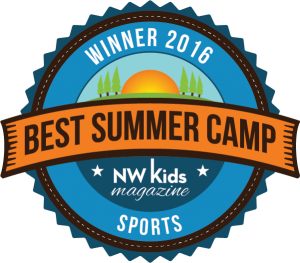 A high percentage of campers attend multiple weeks throughout the summer, usually coming back with friends. The same campers also return summer after summer. 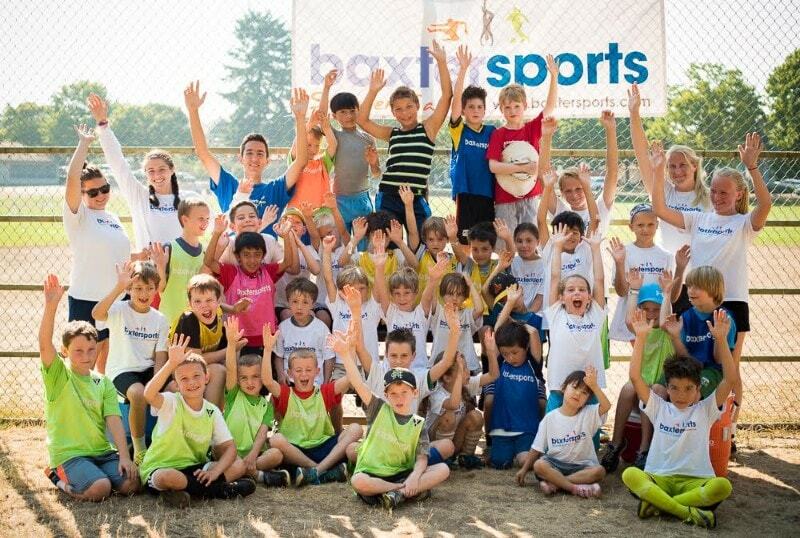 Sign up for a BaxterSports camp and find out why!